Specializing in Boca Raton Luxury Real Estate and fine properties of distinction on South Florida's Gold Coast, Luxury Resort Portfolio is the definitive source for South Florida luxury real estate. Exemplary of the exceptional Palm Beach County real estate our firm represents, Luxury Resort Portfolio provides the highest level of customized service, matched and exceeded only by the highest level of performance and is often referred to as the dynamic force in South Florida's high-end luxury real estate market. The accomplished Boca Raton Waterfront Luxury Real Estate professionals of Luxury Resort Portfolio have the skills and advantages to facilitate transactions and bring about the results our clients expect. As South Florida Oceanfront Luxury Real Estate experts as well as Boca Raton Waterfront Intracoastal Homes For Sale Specialists, Luxury Resort Portfolio offers a combination of proficient and collaborative first-hand experience in both the Boca Raton Luxury Real Estate market and the South Florida luxury lifestyle. The Boca Raton Realtors at Luxury Resort Portfolio have extensive experience in representing both buyers and sellers of the finest residential properties in South Florida. This knowledge gives us a complete understanding of the Boca Raton Luxury Real Estate process that goes beyond contracts and negotiations. As owners of South Florida Country Club Homes, the highly dedicated team at Luxury Resort Portfolio appreciates the value of family, home, and community. As your resident Boca Raton Country Club Realtor, we understand how personal the decision is to buy or sell your home, and we also believe that the process should not only be stress-free, but financially rewarding. The real estate company of Luxury Resort Portfolio recognizes our valued South Florida clients have concerns and considerations and want to make their experience a positive and rewarding one, providing the style of personalized service they expect and deserve. Whether their needs be in buying or selling an important Wellington Equestrian Real Estate investment property, acquiring a Delray Beach Oceanfront Estate or simply purchasing another Boca Raton Gated Estate Enclave Home of their dreams, the talented Palm Beach County Realtors of Luxury Resort Portfolio offer our clients the pinnacle of dedicated support, outweighed only by our standards of ethics, utmost in confidentiality and expert advice. Please accept this invitation to explore Luxury Resort Portfolio and discover the myriad Boca Raton Luxury Real Estate opportunities available on this sunny, scenic and incomparable slice of South Florida’s Gold Coast. From a vastly sought after "Mansion in the Sky" in a Boca Raton Waterfront Condominium to a magnificent South Florida Oceanfront Estate along the Palm Beach coastline, there’s something for every taste and lifestyle in South Florida. Please contact Luxury Resort Portfolio for more information and let our South Florida Luxury Real Estate Specialists know how we can be of further assistance to you. The pinnacle of luxury, a South Florida Oceanfront Estate for sale provides the best of the Gold Coast. Owners of Boca Raton Oceanfront Homes enjoy direct access to the beach, waterfront activities and all the comforts of a plush, amenity-filled palatial residence along the Atlantic Ocean coastline. Explore the grand waterfront mansions of South Florida here in: Highland Beach, Boca Raton, Byrd Beach, Delray Beach, Gulf Stream, Ocean Ridge, Manalapan, Palm Beach, Hillsboro Beach, Hillsboro Mile, Jupiter Island, Ocean Place Estates and Vero Beach. Discover the array of superb options in high-end luxury deepwater Boca Raton Yachting and Intracoastal Residences with the advice and assistance of a well-informed Boca Raton Realtor in boaters’ paradises: Admirals Cove, Bel Marra, Boca Bay Colony, Boca Marina, Boca Raton Riviera, Caribbean Keys, Estates of Spanish River, Lake Boca / Por La Mar, Lake Rogers, Lighthouse Point, Royal Palm Yacht & Country Club, The Sanctuary, Seagate, Sun and Surf, and Tropic Isle. Boca Raton Country Club Real Estate is your gateway to a sporting life of unparalleled luxury, world class services and the privilege of membership. If you're planning to invest in a South Florida Country Club Home, you'll require the superior services of a knowledgeable and experienced Boca Raton Country Club Realtor for an introduction to elite golf course communities as: Mizner Country Club, Addison Reserve, St. Andrews Country Club, Woodfield Country Club, Boca West Country Club, Boca Grove Plantation, Bocaire Country Club, Broken Sound, Delaire Country Club, Old Palm Golf Club, PGA National Resort & Golf, Polo Club, Ritz Carlton Golf Club & Spa, and The Bears Club. 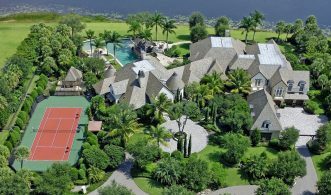 The prestigious, privately guarded and grandly scaled South Florida Exclusive Gated Estate Enclaves situated along Boca Raton’s “Millionaire Mile” are the embodiment of Palm Beach County Real Estate, luxury and opulence. Allow one of our Boca Raton or Delray Beach Realtors to be your guide to what life can offer for homeowners in the family orientated, unique, tropical park-like settings of: Stone Creek Ranch, Le Lac, Long Lake Estates, The Oaks at Boca Raton, Delray Lakes Estates, Fox Chase, Fieldbrook Estates, Les Jardins, Le Rivage or Mizners Preserve. Boca Raton Waterfront Condominiums - "Mansions In The Sky"
Boca Raton is one of the brightest jewels along the Gold Coast and is home to the most magnificent oceanfront South Florida luxury condominiums. The waterfront "Mansions In The Sky" of Boca Raton are mere steps away from the exquisite Gold Coast white sandy beaches and only a minutes drive from the exclusive Boca Raton Resort and Beach Club (A Waldorf Astoria Resort) and the first-class shopping and dining in Mizner Park. Allow the Boca Raton Luxury Real Estate Specialists of Luxury Resort Portfolio be your guide to amenities that befit ocean view residences of this caliber in: Addison, Aragon, Beresford, Carlton, Excelsior, Luxuria, Meridian, Mizner Grand, Ocean Grande Beach and Marina, One Thousand Ocean, Presidential Place and Toscana Towers. The Equestrian Real Estate and Horse Farms for sale within the Village of Wellington are reminiscent of the grandeur and appeal of Palm Beach's old world charm, grace and sophistication. From the fields of the International Polo Club Palm Beach that host the high-goal Piaget USPA Gold Cup and Maserati US Open Polo Championship matches to the competition arenas of the Wellington Classic Dressage Challenge Show Series performed at the Palm Beach County Jim Brandon Equestrian Center, the winding tree lined avenues and lush tropical landscapes within the Village of Wellington evoke a classic South Florida equine feel that is incredibly conducive to living a serene unhurried lifestyle. For more information on these premier one acre plus Wellington Equestrian Communities and Horse Farms for sale, contact The Smiths, your expert Palm Beach County Realtor to provide the most coveted Wellington Equestrian Real Estate Listings in: Mallet Hill, Wellington Preserve, Crab Orchard, Southfields, Equus, Grand Prix Village Farms and Equestrian Club.